Expect the unexpected! 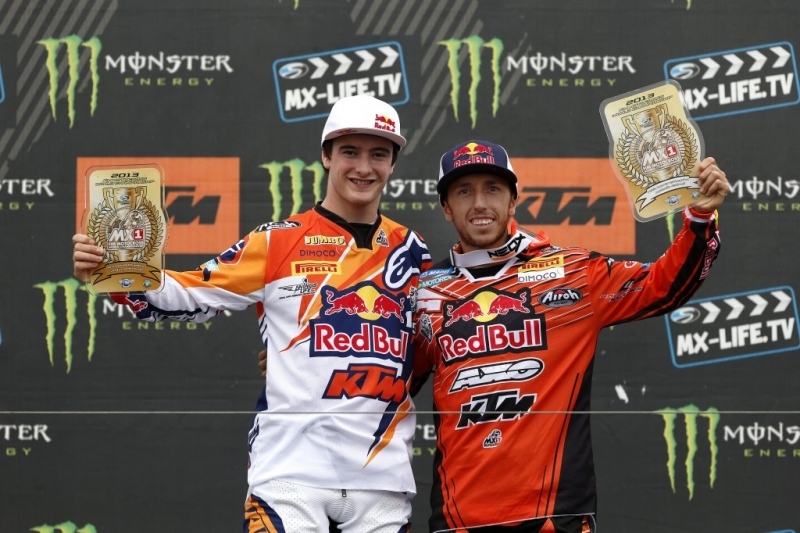 Herlings and Simpson win! Jeffrey Herlings announced he wouldn’t be racing his home GP just a couple of days before the event, but on Friday he changed his mind and it proved to be a good decision! Despite many misgivings, chiefly from team manager Stefan Everts, Herlings braved the pain and won both races despite a crash in the second moto. Herlings admitted he was glad he did it but that he would never do anything like it again explaining that he felt every bump on the track. Last year Herlings won both races but he also lapped the entire field, this time he only won by 10 -15 seconds. So despite the double win Herlings was a minute slower than he had been last he come the end of the race. It is expected Herlings will ride the Nations. But another week or two off means it won’t be great preparation to ride a 350 against Cairoli and co. And Herlings mentioned he won’t ride unless he thinks he can challenge for the top three individually. But there is no one who thinks he won’t be racing. Dylan Ferrandis got his second podium of the year but no one expected it to be in Lierop. With his sand speed proven, no injury problems this winter and a CLS ride for 2014 Ferrandis will be the one to watch in 2014! Jordi Tixier was third overall and finished second in the championship but the Frenchman was still struggling with pain from his injuries at the British GP. He has two weeks to heal now before the biggest race of his life, the MXDN in the Germany. Petar Petrov equalled his best ever GO result with a fourth in Lierop. Petrov was fast all weekend and has shown bursts of speed all season, he just needs to be able to do it consistently. Dean Ferris was sixth overall in his first ever deep sand race and also sixth overall in the championship in what has to go down as a brilliant season for the Australian. Christophe Charlier finished fourth in the series and had the best season of his career. The Frenchman, who won two motos this year, will be jumping on the 450 now to get ready for the Nations, and he could be the big surprise. Your two world champions from last year are your two world champions this year. In MX1 no-one including Shaun Simpson himself expected Shaun Simpson to win – but that is exactly what he did! A fine second in qualifying gave Simpson the confidence for Sunday and after playing the smart game at the beginning of the moto one and hanging back in third, Simpson picked up the pace to pass Bobreyshev and then Strijbos. His only problem was that Cairoli was following his every move! The Italian, on a 450 for the weekend, made his attacked with two minutes to go but Simpson forced him wide and Cairoli went down just as he was about to make the pass! Simpson cruised to a 12 second win after Cairoli suffered machine problems and dropped back to fourth behind Bobreyshev and Strijbos. In race two Cairoli holeshot but Simpson passed him instantly! Then the excited Scot crashed only a few corners later and dropped back to eighth. This gave Cairoli a five second lead instantly and the Italian would go on to win by a minute but whether he would win the overall was still hanging in the balance. Simpson had recovered to join the four way battle for second with Desalle, Strijbos, Bobreyshev and De Dycker. The Scot had to get third or better to win the GP and he did it by passing both De Dycker and Desalle in one turn! But it wasn’t over as Kevin Strijbos passed the Scotsman back to reclaim second and this left Simpson fighting De Dycker right until the last lap when Ken finally threw in the towel. Simpson then took the chequred flag in third to win his first ever GP! To make it even sweeter Simpson was riding a privateer JK Yamaha with sero factory help and had bee sacked by TM only a couple of months before. This was redemption of the highest order for one of the nicest and hardest working guys in the paddock and as a bonus Simpson went from 11th to 9th in the championship! The Scot Simpson won his very first Grand Prix in the sands of Leirop. Strijbos second place gave him second overall and fourth in the championship. With his form in the last three rounds you really have to wonder if Smets will have to give Strijbos the Nations ride ahead of De Dycker. Cairoli somehow went from winning the overall to being third on the podium but the Italian showed that whether he is on a 350 or a 450 he can win. Clement Desalle didn’t have a great weekend and curiously isn’t a great sand rider, despite being from Belgium! However he did finish second in the championship again but Desalle admitted that he wants first now. Gautier Paulin rode out the season but admitted his main goal is now the Nations in Germany. The Frenchman has been working his way back to full fitness and insists that by Germany he will be back on top form. So that is the 2013 World motocross championship over, but it ended with one of the most memorable races of all time, and had two of the sport’s greatest riders crowned as World Champions. Can they be beaten in 2014? Roll on Qatar in March to find out! 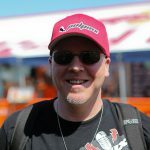 Pulpmx Point/Counterpoint- #338, ISDE or MXDN?